FF (Fish Friendly) Organic Worm Castings for Making Worm Casting Tea! We suggest you purchase a simple sprayer to apply the worm castings tea to your plants. 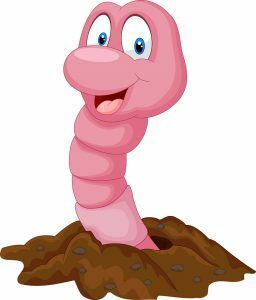 These worm casting are pure organic worm castings and not vermin-compost. The worm casting tea is non-toxic to plants, fish, pets or people. By spraying the worm tea on your plants (under the leaves as well as on top) and over your seed trays (seed nursery), you’re adding nutrients directly to your growing plants and making them healthier and minimizing any potential problems. Since you’re spraying the leaves and fruit/vegetables, pathogens are less likely to attack your plants because you’re adding beneficial microbes (very important to healthy plant growth) to the surface of the plants. Worm casting tea used as a foliar spray is beneficial and controls many fugal problems like black spot, black mildew and tomato blight, to mention a few. Testing proves that there are microorganism properties in the worm casting tea that act as an insect repellent for many insects such as aphids, white fly, spider mites, and other small bugs that eat plant juices. This is due to enzyme released in the worm tea called chitinase which will dissolve chitin which is the exoskeleton of an insect. The Portable Farms® Worm Casting Tea method works much faster than standard methods and produces tea of equal or better quality. 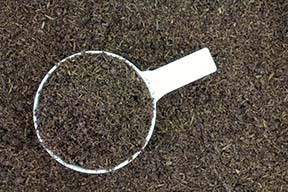 You can make your Organic Worm-Castings Tea in as little as 4 hours and 98% of that time is allowing the tea to brew or sit and brew prior to application in your aquaponics system. Easy to make. Easy to spray. Great for your aquaponics system. For an Aquaponics system with 200 sq. ft. of grow space, use one cup of FF Worm Casting Tea. You only need 10 cups of fish-friendly water from fish tank or aquarium to make the tea and apply it on the same day. You have an aquarium or fish tank water or water that has been in an open container for overnight. Here is a quick and complete way to remove chlorine from water – Vitamin C (just plain water-soluble ascorbic acid with no fancy additives such as Citrus Bioflavonoids or Rose Hips, etc.) at the rate of 1 mg per gallon of water. We picked up this trick for curing water from our work in Portable Farms®. 1 cup FF Portable Farms® Worm Castings which is 100% organic and supplies a natural source of nitrogen, phosphorus, potassium, calcium and iron for your plants. 10 cups of water from your aquarium or your fish tank. Use tap water only when it has been treated with Vitamin C to remove the chlorine. 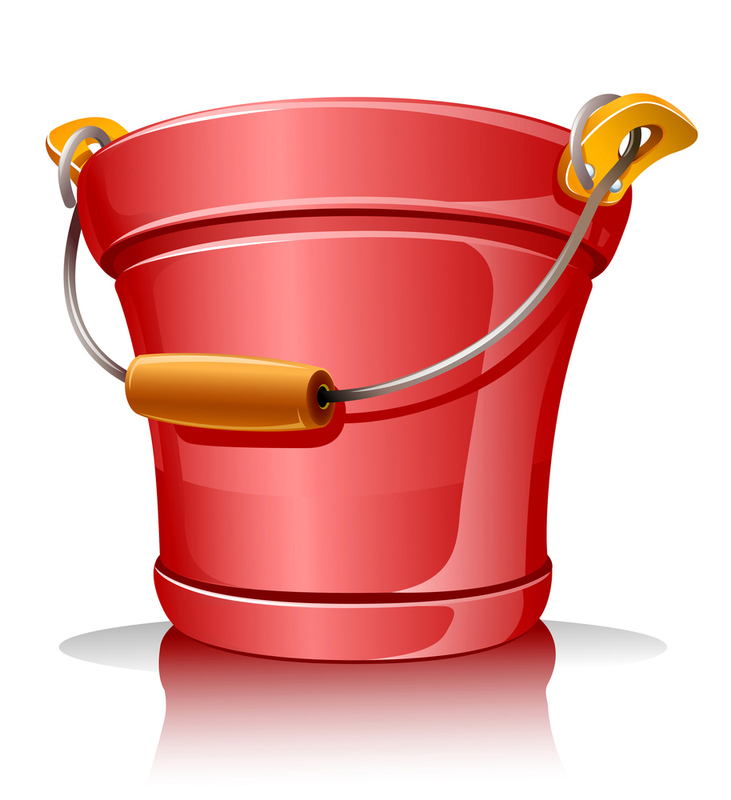 A bucket that holds 14 cups of water (make sure the bucket has had no chemicals in it in prior usages). Let a kitchen blender to do the work to mix and aerate the worm casting tea. Use a wire mesh strainer (mesh strainer works better than a spaghetti colander) or a cloth (cheese cloth or old hosiery) to line the strainer (the tea has to pass through your sprayers nozzle so make sure the filter is smaller then the particles in the brewed tea, so strain well). If the worm casting tea is not well strained, it will clog up your sprayer. Pour four to five cups of water which has been taken from your total of 10 cups into a kitchen blender (this process is tough on blenders, so it’s best to buy a cheap one to use only for this type of work) and put the lid on before you blend. Turn on the blender and let it run for about a minute at a relatively high speed to entrain air into the water oxygenating it. Remove the lid and then carefully add the one cup of FF Portable Farms® Worm Castings. Put back the lid back on the blender and run it at full speed for one to two minutes, turn off and then let the mixture sit for 2-4 hours in the blender. Set up the strainer with the cloth liner to drain into the large bucket with the rest of the water. Very slowly and carefully pour the mixture through the strainer/cloth into the bucket with the remaining water. The drainage gets slower and slower so you may want to stop and change filters to speed up the process. Stop pouring when the heavier remains start to flow out of the blender. Stir the worm casting tea thoroughly. Pour the resulting liquid into sprayer. Note, the color of the Worm Casting Tea can be VERY black. Now you can spray your plants on the top and underside of leaves. Use all of the mixture within a day. It may start to ferment if you leave it in the sprayer longer than one day. BIG BENEFIT: FF Worm Casting Tea can be made in HOURS not days! Note: Use the remaining casting residue left in the strainer cloth and blender on your indoor or outdoor plants, or your yard, at the base of a plant or tree. DO NOT PUT LEFT-OVER WORM CASTING RESIDUE INTO IN YOUR AQUAPONICS GROW TRAY. You can add The FF Portable Farms® Mineral Rock Dust at the rate of one teaspoon per batch at the time you add the Worm Castings, now you have a great Mineralized Worm Casting Tea. This FF Portable Farms® mineralized Worm Castings Tea is quick, elegant, the perfect nutrient foliar spray, a strong insect spray for the plants. It’s fast and easy to make and is applied the same day. This Portable Farms® Worm Castings Tea or Super Tea is quick, elegant, the perfect foliar spray, a strong insect repellent for the plants and can be made and applied in the same day. One more product and service from PFAS LLC. I am in Ghana, West Africa. If I want to operate a unit of your Portable Farm, how can I do that, since you do not ship your worm castings and FF Mineral Rock Dust? We are prevented by Customs and our supplier from shipping our brand of MRD and Worm Casting outside the US. However, there are other suppliers of mineral rock dust, the main concern is to make sure it contains no nitrogen and no aluminum. The Portable Farms work without the MRD, but better with the supplement. In a backyard unit a two kilo of MRD will last over three years. The PFAS requires very little additional nutrients. My husband got me a worm farm for my birthday. Although I am not yet ready to take your course, I am excited to try this method of fertilization on my fruit trees. I’m not ready yet, because we travel too much. Some day I will put one of your beautiful systems in my garage. Dreaming…thanks for your interesting, informative articles. Good luck in the new adventures. We’ll keep the website exciting for you. Hi, I would like to know if this organic worm casting tea can be served as meal for the fish? Also, can I use catfish in an aquaponic setup? We have no idea. We never considered worm casting as a fish food and have never heard of it being used as such. Coffee grounds work very well for tilapia, but worm castings are mostly inert material that plants can utilize, not fish. You can use catfish, they are a common choice. I’m coming to San Diego in june. Can I pick up my FF mineral rock dust and worm casting to save shipping cost? Yes you can. We only use the worm casting tea as a foliar spray.